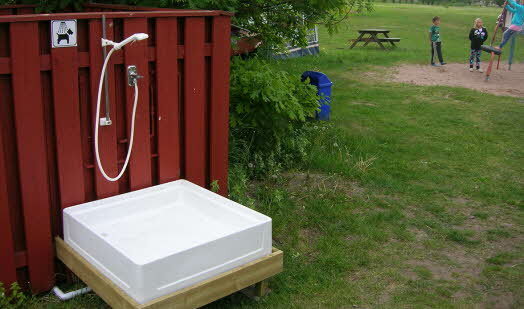 Here is a list of all the campsites with a special indoor or outdoor dog shower. 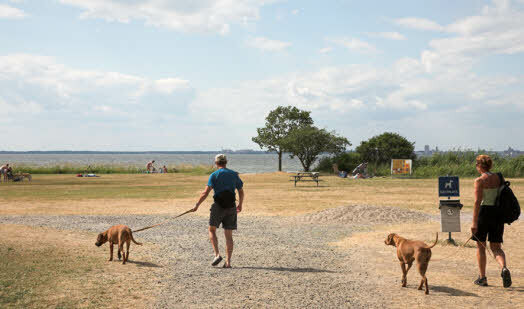 Here you’ll find campsites close to dog-friendly beaches, free swimming for dogs, e.g. part of the beach is reserved for dogs. At Läjets Camping just outside Varberg, dogs are extra welcome. There is an agility course in connection to the campsite, an enclosed dog exercise area, and a shower room for pets in the service building. 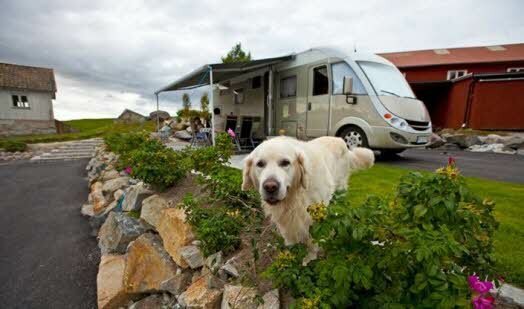 The campsite is also surrounded by nice areas for country walks – perfect when travelling with a dog. 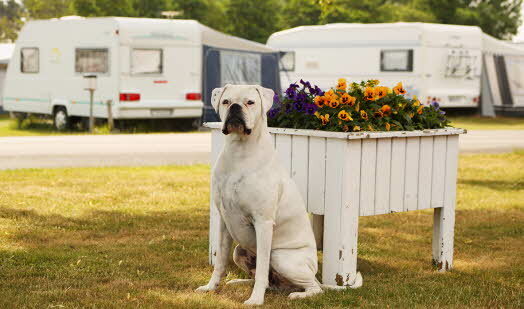 KronoCamping Saxnäs has invested extra in guests with dogs in recent years. 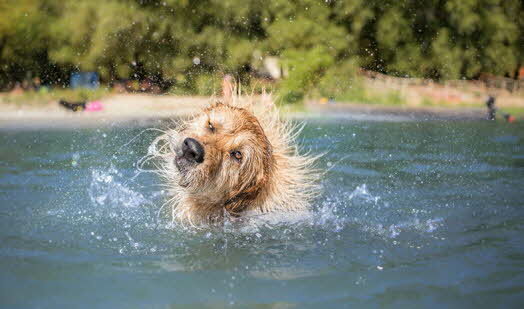 In addition to a generous dog-friendly beach, there is a new 800 sq m exercise area and an agility course, as well as a newly renovated dog shower. A perfect place for guests with dogs. 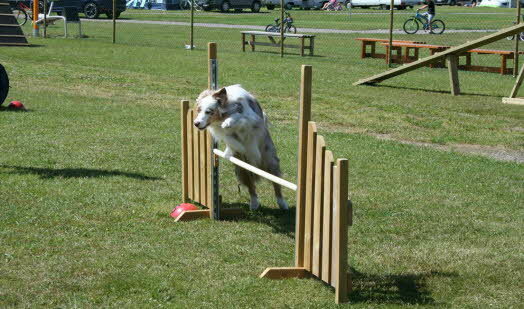 There is an agility course, activity course and exercise area for dogs. 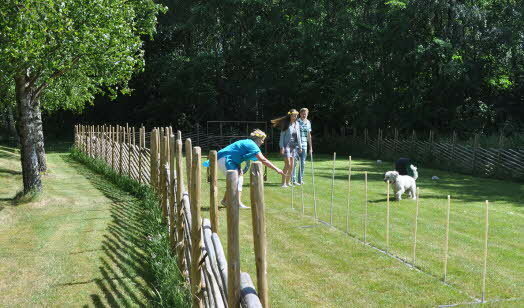 During weeks 27-31, there is free leader-led obedience and agility training for guests staying at the campsite. Haverdals camping is a 4-star campsite by the sea on the West Coast. There is an enclosed dog exercise area with agility obstacles and a dog shower. There are nice walks around the campsite. 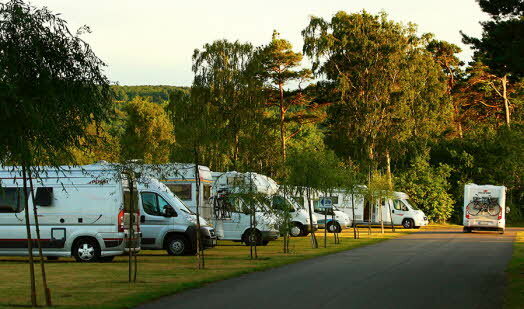 Båstad Camping is located on Bjärehalvön Peninsula by the sea. The campsite has an enclosed dog exercise area with an agility course. The wooded areas are suitable for play and exercising dogs. Mora Camping now has a new exercise area and agility course. 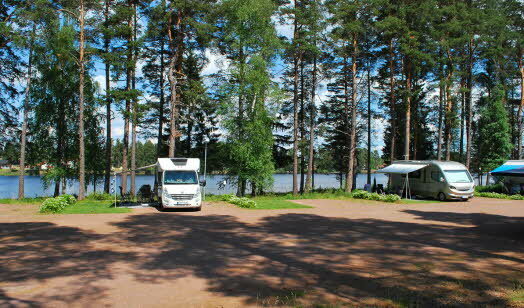 The campsite is beautifully situated between the rivers Österdalälven and Hemulån. There are covered tennis courts, an indoor swimming pool and ice-skating rink nearby, as well as excellent swimming and fishing. Five minutes’ walk to the centre of Mora.